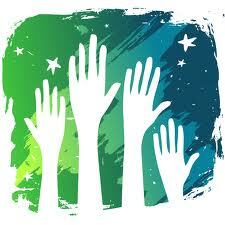 Where would associations be without volunteer leaders? I have yet to find an association that is so well staffed that volunteers are not needed, and even if this association exists I would still question eliminating these positions as they help foster engagement, community and general leadership skills useful to a volunteer in all aspects of their professional life. Volunteers are essential to a successful association. In a post on the Affiniscape blog, Leslie White says: "Everybody says volunteers are important so isn’t it time for associations to commit more resources to managing this precious asset?" My first post on Basic Social Media Training can be found on the AssociationTech blog and is called Social Media and the Chapter Leader. While my work is largely with volunteer leaders of chapters, affiliates and committees, I believe the basic concepts I will cover can be applied to any leadership role. Our volunteers may be new to their profession, or senior leaders in their company - but all could benefit by learning skills tailored to leading in an association. Let's get to it with some Social Media Basics today! I am looking forward to reading each post in your series, Lowell! I don't think enough people write about this evergreen issue often enough. Volunteers are so very important to associations, but the care and feeding of them goes way beyond a yearly call for volunteers... Cheers! Thanks Kiki! I love your comment 'the care and feeding of them goes way beyond a yearly call for volunteers.' It is so true - we need to invest in the success of our volunteers if they are truly going to excel, and if we want them to make a long term investment in us. I hope this series of posts give some tools and tips on how to do that. Leadership Development helps us to develop organizational mission statements and vision statements, so it is very important chapter for volunteers. Thanks for the post!! Choose Ecube Leadership training courses to acquire the latest skills and techniques in leadership and communication, decision making, problem solving.